Fancy an unforgettable journey with a small group and experienced guide? 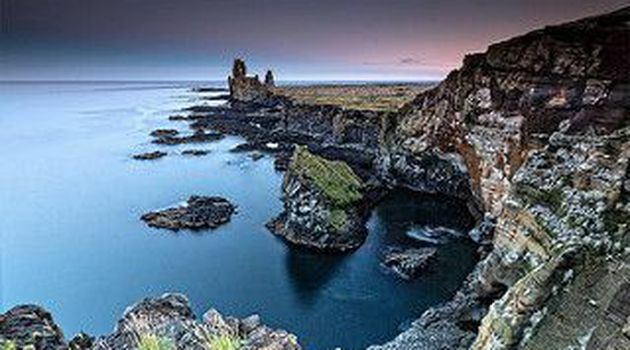 Then this day-trip of Snæfellsnes peninsula is perfect for you! 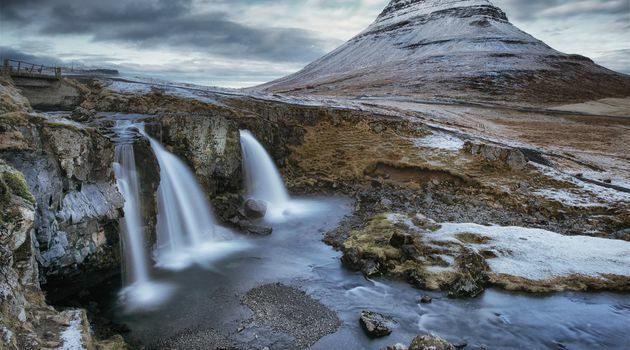 Hopping through the magnificent and picturesque sites, you’ll see steep glacial-carved mountains, endless black beaches, moss topped lava fields, volcanic craters, sci-fi-esque coastal cliffs topped off by the volcanic glacier Snæfellsjökull where Jules Verne set the beginning of the Journey to the Center of the Earth. Arnarstapi This tiny fishing village has picturesque coastal cliffs which derived from glowing magma hitting the wild waves of the Atlantic. Known in Iceland as the most beautiful harbor of the country. 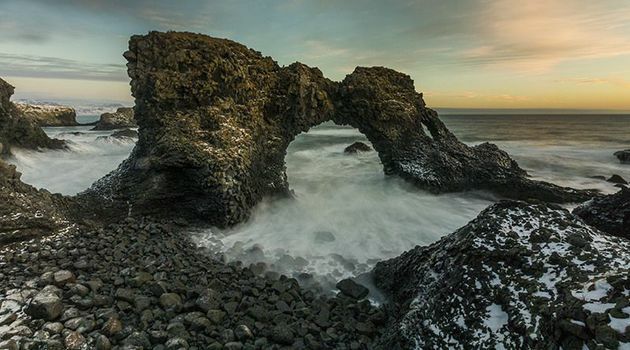 Thousands of years later erosion has formed beautiful stone arcs and remarkable blowholes. 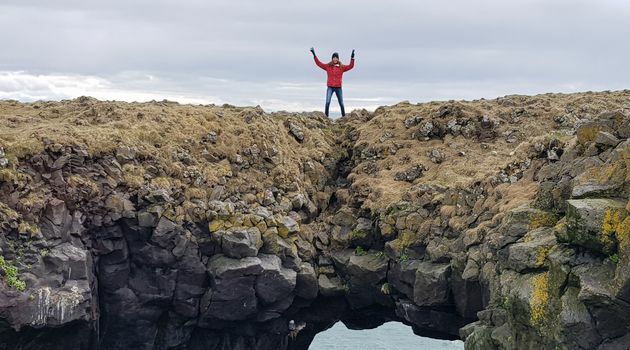 Enjoy a walk along the coastline while your guide tells you all about Bárður, half-man half-troll, and his misdeeds in the area. Ytri Tunga Ytri-Tunga is a sandy beach has a little secret hidden away down by the sea behind the farmhouses… a seal colony! 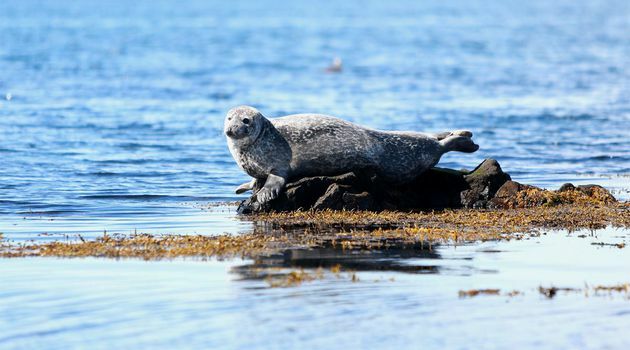 Seals love to spend their time on the rocks of this beautiful beach. They are friendly and curious and will climb up on the rocks for you to spot them from a distance. Lóndrangar The Lóndrangar are a pair of rock pinnacles in Iceland and are remnants from a bigger crater which has mostly eroded away. Looming over the entire southern coastline, Lóndrangar, a set of 75-meter high basalt pinnacles set the tone for what’s to come. They host a variety of seabirds, northern fulmars and puffins, and others. 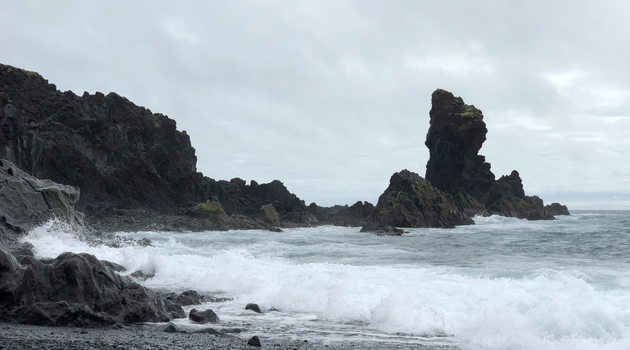 Djúpalónssandur A beach of black volcanic sand and stones where for centuries Icelandic fishermen rowed out to the fertile fishing grounds of the Atlantic ocean. Still today we find the so-called “lifting stones” which fishermen of yore used to test out their strength and prove themselves worthy of the physically straining life of Atlantic rowboat fishing. You can try to lift them yourself! In 1948 a British fishing trawler stranded on the sand reefs of Djúpalónssandur. Five men perished while 14 were rescued by local rescue squads. The remains of the ship are still there, strewn across the beach as an eerie reminder of the awesome power of nature. 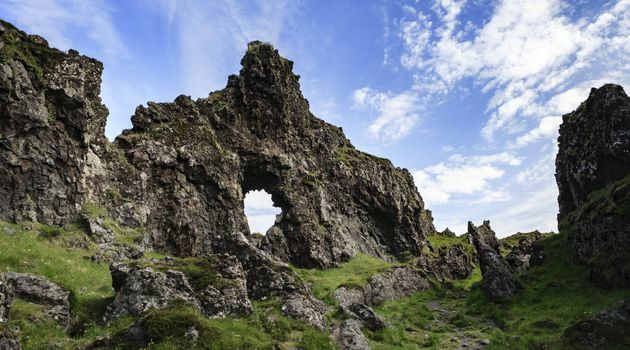 Saxhóll Formed over 4,000 years ago, this Volcanic crater has now been made accessible via an iron staircase giving you the option of hiking it. 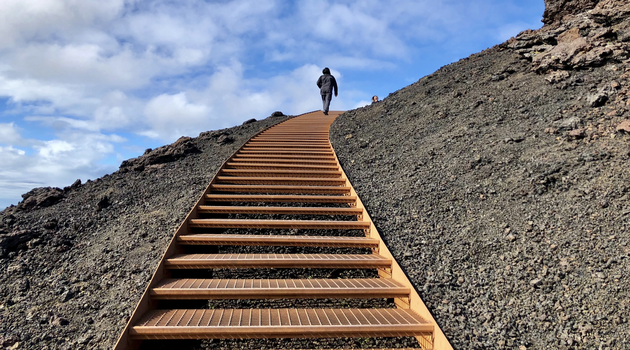 The hike is not too challenging and gives you a 360° view of the lava fields with Snæfellsjökull glacier looming over. 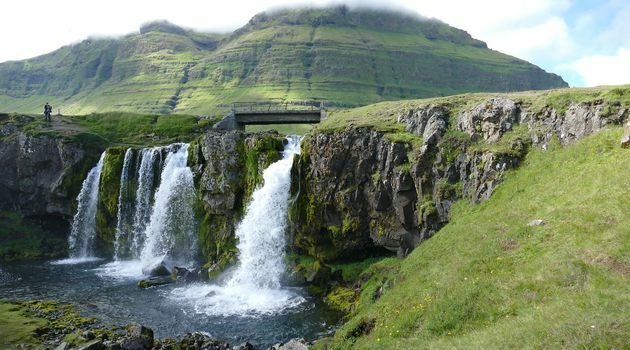 Kirkjufell – The Church Mountain This iconic narrow mountain has become the landmark of Snæfellsnes in recent years. The erosive powers of the glaciers during the last ice age about 12,000 years ago gave this mountain its shape. 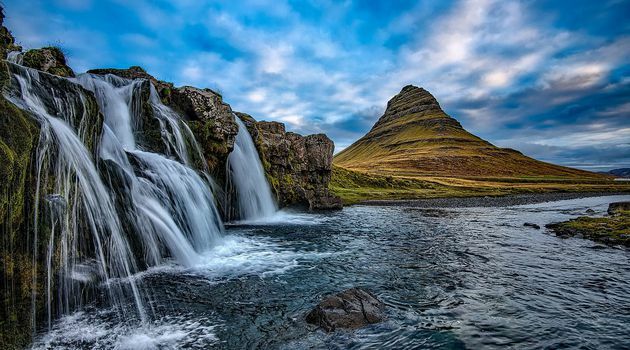 Due to this unique look, it is one of the most photographed sights in Iceland and just across you will see the beautiful waterfall Kirkjufellsfoss next to it which completes your perfect shot of the mountain. There are numerous vantage points for the perfect photograph and our guides know them all! 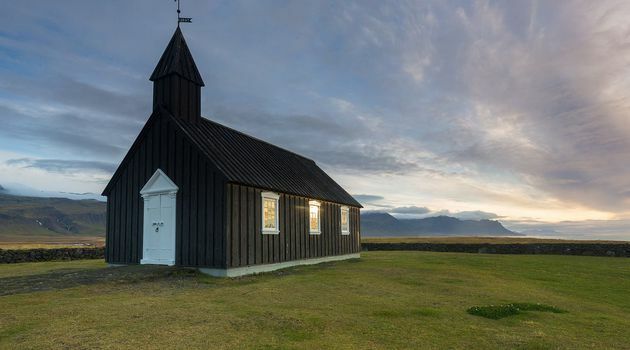 Búðakirkja – Búðir Church On the south coast of the peninsula, there’s a village with only a hotel and a tiny black church called the Búðakirkja that sits alone among a field of lava rock. Búðakirkja was built on the spot in 1703 and reconstructed in 1987 after a claim by a single member that lobbied to have it back. It has a historic graveyard, a bell and chalice from the time it was erected. It is is a listed building owned by the National Museum of Iceland, but it is in the care of the Búðir parish. Without a doubt, this picturesque chapel has a romantic air about it and is a real attraction to the site.